There are all sorts of new goodies coming out from Incase lately. Today, Incase has announced a new line of audio gear that will accompany their widely known cases and bags. 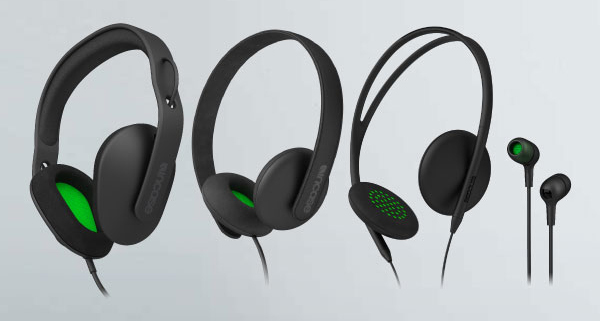 Incase is scheduled to release 4 new pairs of headphone models this September including the Sonic over-ear headphones, Reflex on-ear headphones, Pivot on-ear headphones and the Capsule in-ear headphones. Each model features custom-tuned audio drivers that have been engineered to accurately reproduce the source audio for a natural, balanced response across the entire audio spectrum. Incase's expertise in design shows thru these great looking headphones with their seamless design. Each model will be finished with a matte soft-touch and glossy finishes and will incorporate an integrated microphone and remote control for use with Apple devices. You can head over to the Incase Audio page to check these out for yourselves. Incase hasn't announced any prices yet. I'll take two please!